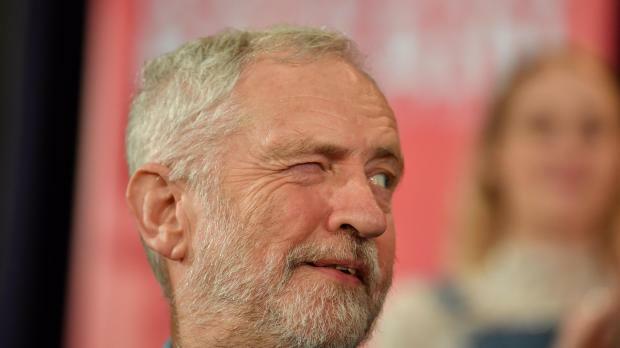 Jeremy Corbyn - Keeping an eye on all Brexit options. Britain's Opposition Labour Party has tabled a Commons amendment to the government's EU withdrawal deal, which it claims prevents the chaos of no deal and includes the option of a second referendum. The amendment was presented as MPs derided Prime Minister Theresa May's Plan B, announced on Monday, and a report revealed that cross-Channel freight trade could collapse by between 75% and 87% for six months in the event of no deal. Mrs May on Monday said she could not guarantee a no-deal, pointing out that there would be no-deal if no agreement was reached on a withdrawal plan, or if Brexit was dropped. The secret report, based on estimates by the UK Border Force, was revealed by Sky News and showed the chaos which would result in case of a no-deal as customs checks were imposed. "The reasonable worst case flow through the Short Straits is reduced to between 13% and 25% of current capacity for a period of between 3-6 months," the report said. "The French will apply at least the legal minimum of third country customs controls on all goods and sanitary and phytosanitary (SPS) checks on specified food and agricultural products. This includes the imposition of 100% customs documents checks. "Our amendment will allow MPs to vote on options to end this Brexit deadlock and prevent the chaos of a no deal," said Jeremy Corbyn. "It is time for Labour's alternative plan to take centre stage, while keeping all options on the table, including the option of a public vote."